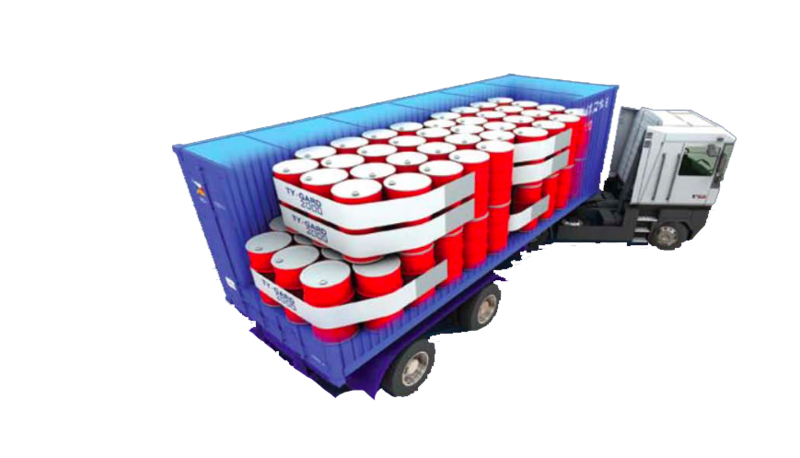 Ty-Gard 2000 has become one of the most powerful load containment systems in the market. This securing system guard many types of products, from IBC’s, drums, explosives and all sorts of palletized loads. Preventing Damage during freight, with a system tested and approved to secure cargo by international standards and guidelines. These 40cm wide bands are flexible and made of more than 7800 high resistance multi-fibers. Tested to transport dangerous and general loads under both the AAR and the BOE. Ty-Gard 2000 is in line with the following standards: IMDG, FMCSA, USCG, RID, ADR. Cut two lengths of Ty-Gard and one 5ft length of Ty-Patch for each band required. Adhere Ty-Gard to the sidewall in predetermined locations, following corrugations, roll each adhesive section firmly with bonding roller. Overlap Ty-Gard lengths, insert Ty-Tool and tension. 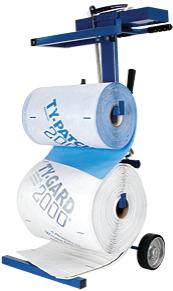 Place Ty-Patch across tensioned Ty-Gard band and firmly roll with bonding roller.